Any time I hear of a new Robert Jackson Bennett book coming out, I mark my calendar and start counting down the days. Vigilance (released January 29) was no exception. But there's something very different about Vigilance, and the cover itself is a strong tip-off that Bennett's new novella is going to show readers a very dark side of Bennett's imagination. "I've had this idea for a long time, five or six years. And it was horrible," Bennett says over the phone. He didn't think anyone would want a book about the United States in 2030, where the population is fleeing to wealthier countries, Texas has been burning for four years, and almost everyone carries a gun. And if you don't yet carry a gun, John McDean, who oversees the Vigilance program, wants to make sure you're so scared that you won't leave home without one ever again. Customer reviews of Vigilance reference the 1987 film The Running Man, in which convicted criminals fight for their lives in a broadcasted and popular game show. Unlike The Running Man, the participants in Vigilance are regular people who are at the mall, the ice rink, or the train station when heavily armed shooters are dropped into their midst. Explains Bennett, "They film it like a game show. Like a reality show. And there is a prize if you are the person who wins, who stops the mass shooter." If the mass shooter is the last one standing, the shooter wins $20 million. Warned over and over again by politicians, media, and advertisers to be "vigilant" at all times, the population has accepted the idea that they have to be ready to defend themselves against a mass shooting at any moment. "But what a lot of people don't know is that the game is controlled." Even more troubling, not only is the game controlled, but John McDean and the Vigilance producers have created these scenarios simply to generate ad revenue. Human life is no longer valued except as a way to sell guns, security systems, or pharmaceuticals. 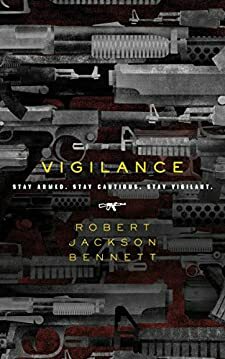 At 192 pages, Vigilance isn't a long book. Thank goodness, because Bennett keeps the tension torqued all the way through. And like other short but powerful works, such as Animal Farm or Lord of the Flies, Vigilance might be better appreciated as a satire or cautionary tale about being manipulated for others' gain than as an epic novel. When asked if he believes people's fears and egos are being manipulated today, Bennett gives a complex answer. "I think right now we're in a state where a lot of people have a lot of different ideas about what's important, and everyone basically is trying to get the media to look at what they think is important and are frustrated when they aren't seeing it…. Who's the one who controls the lens of the camera and says what should be looked at?" Despite the grim message of Vigilance, there are moments of heroism. Says Bennett, "There is one character who is in a place where all the people are watching the show, and she makes the choice to turn it off. And that act, which is as simple as pushing a button, is I think the most heroic act of the entire story." 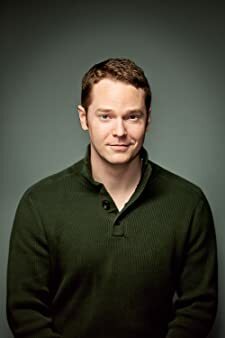 Robert Jackson Bennett is the author of the Divine Cities trilogy (City of Stairs, City of Blades, and City of Miracles) and Foundryside, a new fantasy series starter. 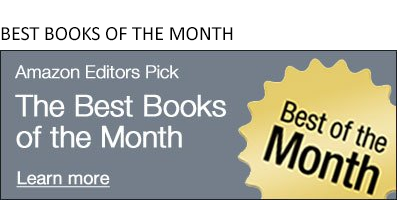 Vigilance was chosen by the Amazon Book editors as a best science fiction and fantasy book of the month for February 2019.